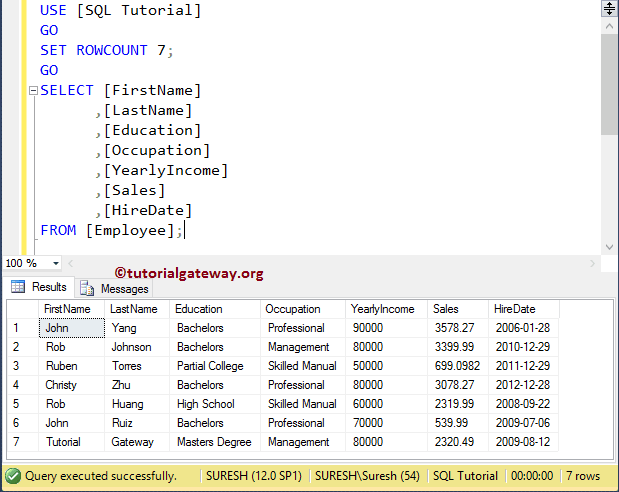 The SQL ROWCOUNT is one of the Set Function in SQL Server, which causes the SQL server to stop the query processing after the specified numbers are returned. 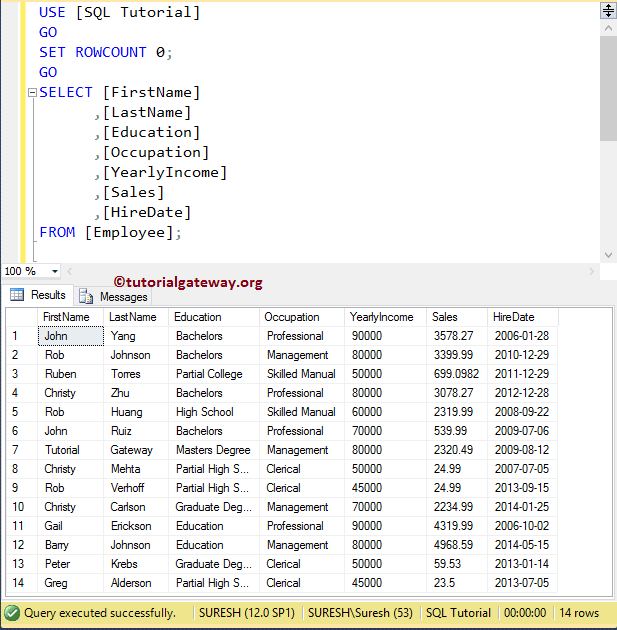 In this example we will show you, How the SET ROWCOUNT in SQL Server will effect the queries. 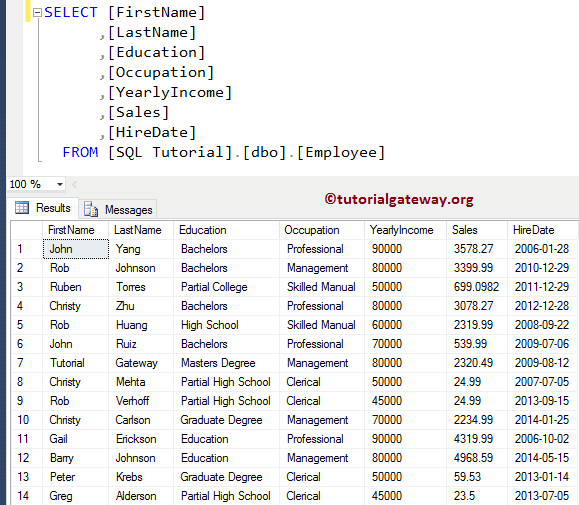 Before we get into the main example, let me use the COUNT Function to find the number of rows that our employee table holds. From the above screenshot you can see that, the table contains 14 records. Now, let us use the ROWCOUNT to restrict the records to 7. 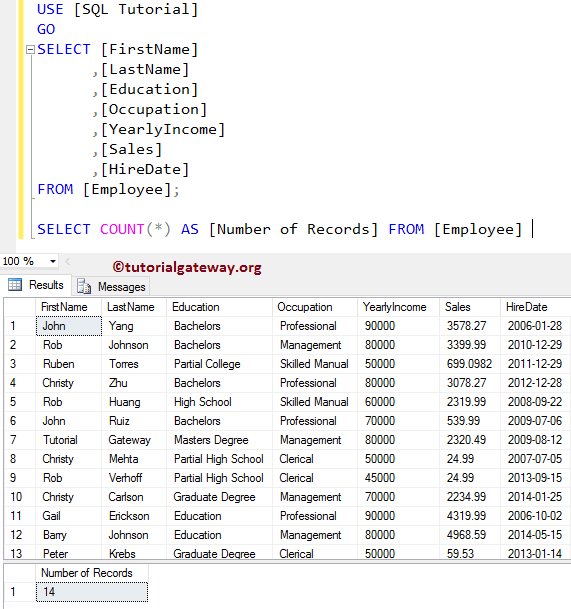 As you can see, that the query is returning 7 records. This is because, when the query processing reaches to 7th record, it will stop processing the other records. As you can see from the above screenshot, we set the ROWCOUNT as 5, and selecting TOP 6. 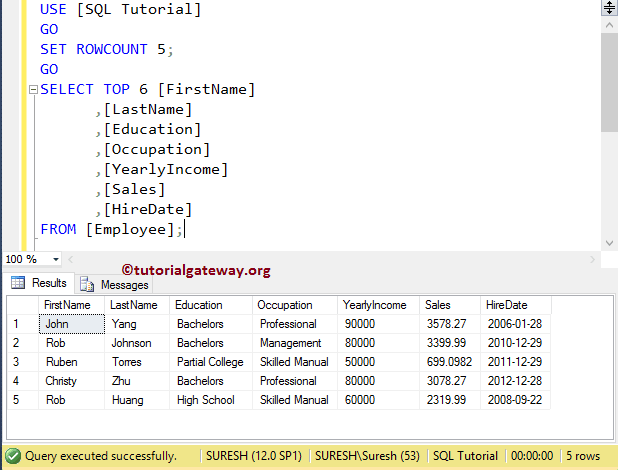 Here, it returned the first 5 records because, once it reaches 5, the query execution will stop.